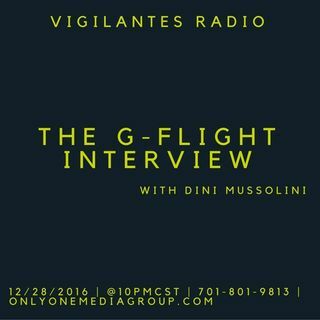 G-Flight, stops by to chat with Dini Mussolini about his latest release, "Swingin On Giants". Set your reminders, it's happening! 12/28/2016 | 10PMCST | 701-801-9813 | or via the browser by going to www.onlyonemediagroup.com/vigilantesradio and slapping that "Go LIVE!" button.